[Atherton, England] – Atherton’s real life Billy Elliot is living his dream after winning a place in the professional production of Giselle. Twelve-year-old Xander Bevan will be dancing the role of Gentleman of the Hunt at the Preston Guild Hall and Charter Theatre in the English Youth Ballet production next Friday and Saturday, March 4 and 5. Xander has previously been part of large productions like Swan Lake last year and Coppelia in 2014. He has danced from the age of six after signing up to do lessons himself. His dad Lee said: “I got an e-mail saying your little boy tried out and is great at ballet. He did karate and rugby, so I was shocked, but I asked him and he said he wanted to do it. Auditions for Giselle took place at the Preston theatre in November, with more than 200 dancers taking part. Xander was one of the lucky few to be selected. EYB has helped many of the UK’s best talents springboard into careers with some of the world’s top ballet companies, including the Royal Ballet Company and English National Ballet. The ballet will star principal international dancers Amy Drew, Adele Robbins, Monica Tapiador, Richard Read, Brenden Bratulic, Oliver Speers and Trevor Wood. All the soloist and corps de ballet roles in the production will be performed by 100 dancers, aged eight to 18, from the north west. 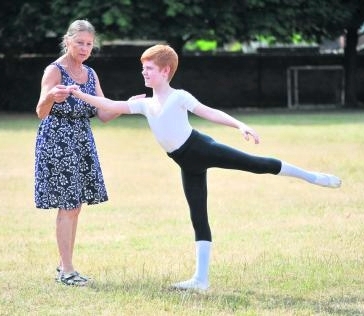 Copyright 2016 Newsquest (North West) Ltd.
[ Buckinghamshire, England] – A talented ten-year-old school boy from Princes Risborough will feature in a professional ballet performance of the Nutcracker next month. Ethan Hall auditioned for the show – which runs from 13 – 14th November at the Buxton Opera House, Derbyshire – after a successful performance of Swan Lake in Ayslebury back in Easter. 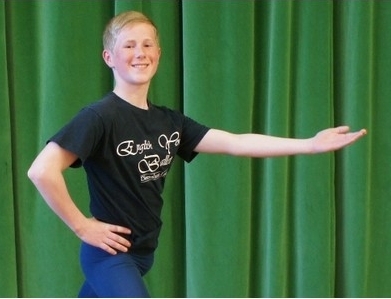 Ethan is a year six student at Gateway School and has been taking dance lesson at the Susan Diane School of Ballet, Aylesbury, twice a week since he was four years old. 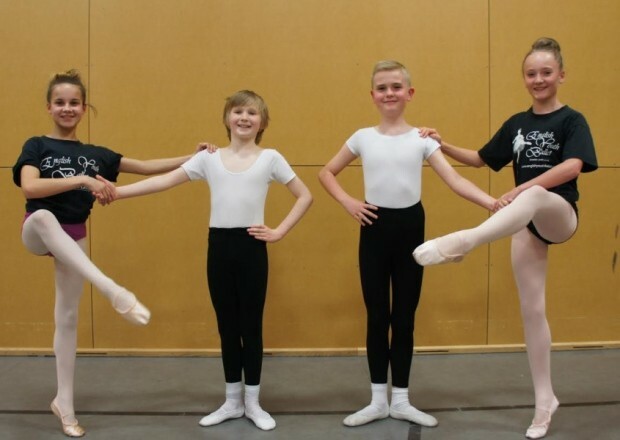 The English Youth Ballet (EYB) held auditions for the ballet, which requires approximately 260 costumes, in June and attracting over 200 young hopefuls. The story of the Nutcracker follows a young girl called Clara who embarks on an exciting and dangerous adventure a handsome prince who has been transformed from a nutcracker doll. They travel together through the Snow Forest to reach their destination – the glittering palace of the Sugar Plum Fairy in the Kingdom of the Sweets. As well as ballet, Ethan gets regularly gets involved with judo, swimming and squash. His mum revealed he wants to be a marine biologist, a lawyer or a computer-game coder when he grows up. [West Yorkshire, England] – Four talented Morley dancers will be taking to the stage in a professional peformance of Giselle. Troy Tipple, 11, Rowan Lightwood, 10, Bethany Raine, 11 and Alicia Patnelli, 12, are currently having an amazing time rehearsing with the English Youth Ballet at St George’s Hall Bradford for the June 5-6 performance. Nearly 200 young hopeful dancers turned up to two auditions with Troy, Rowan, Alicia and Bethany all impressing youth ballet director, Janet Lewis MBE. This is the second time Troy will be performing with the youth ballet and is looking forward to dancing again with Rowan, who have previously danced together. The story of Giselle is set in the Edwardian era on an English country estate and tells the story of young governess, Giselle, who falls in love with the aristocrat Albert who betrays her. She dies of a broken heart but her ghost chooses to protect Albert and other of the town’s men folk as ghosts of other young women seek their revenge. © 2015 Johnston Publishing Ltd.
[Surrey, England] – A young ballet dancer from Dorking’s Ashcombe School is to perform in a production by the National Youth Ballet. Eleven-year-old Wilf Sheppard will perform two dances – the Dolls House Fantasia and Waking Mozart – as part of a showcase titled Beyond Ballet. This will be Wilf’s first time for the National Youth Ballet. He went through two phases of auditions before being asked to take on a main cast part. Rehearsals have been intense but Mrs Sheppard said her son “takes it all in his stride” and isn’t fazed by the upcoming show at the end of this month. 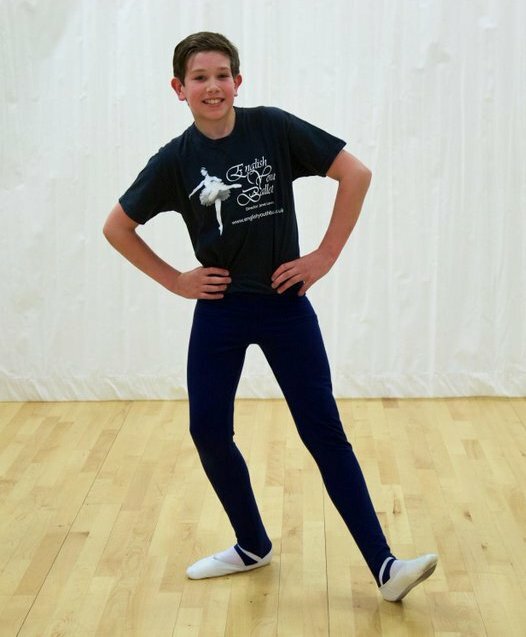 The rising star from Buckland has been dancing since he was five years old and attends Surrey School of Ballet in Reigate and also Dance Shack in Leatherhead. Beyond Ballet will be at The Stag Theatre, Sevenoaks, on August 21, 22 and 23. There will also be a gala performance at the New Wimbledon Theatre on September 1. [West Yorkshire, England] – Teenager Joe Dearden will tomorrow [June 13th] take to the stage in Stockport in a professional ballet. 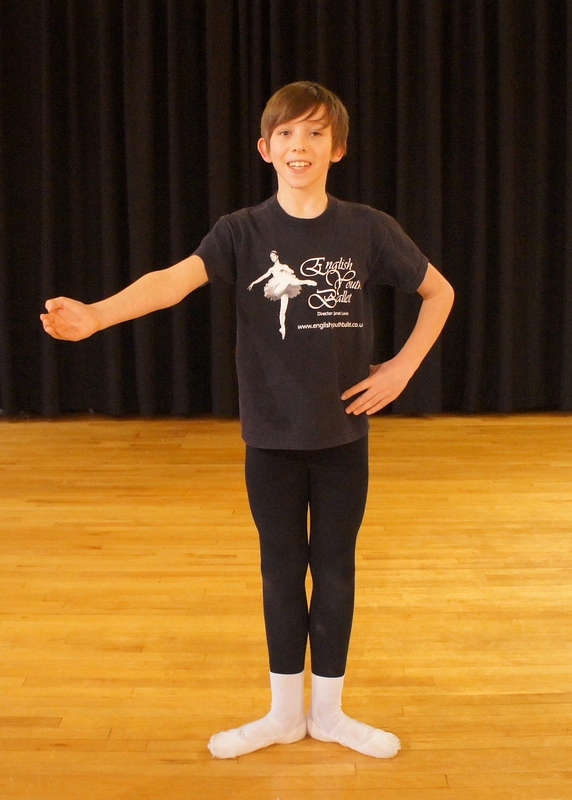 Joe is among members of the English Youth Ballet giving three performances of Coppelia at the town’s Plaza Theatre. The 14-year-old Oakbank School student has spent the past 10 days in Stockport undergoing intensive rehearsals with fellow members. The youngsters, drawn from across the country, perform in the classical ballet with professional principal dancers. Joe attends the Sara Packham Theatre School, based in Oxenhope, which regularly provides young dancers and actors for professional stage productions. He was among 200 children and teenagers who auditioned in February for part with the English Youth Ballet. The ballet company aims to give talented young dancers an insight into what life is like as a professional dancer. A complex rehearsal schedule involves simultaneous sessions in three separate studios, before the cast join together to show each other what they have learned each day. Coppelia follows the escapades of the dreamy Franz after he comically falls in love with a beautiful life-like doll. 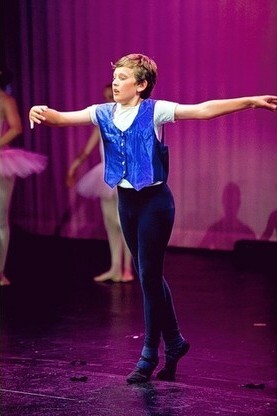 [Oxford, England] – Two years ago James French secured training with the Royal Ballet School in Covent Garden, London. In September, the 11-year-old from Didcot will join the school full-time at White Lodge in Richmond, and will appear in The Nutcracker at the Royal Opera House at Christmas. And earlier this week, James met up with his former ballet teacher Sarah Doidge, who spotted his talent when he was three. James was encouraged to try ballet by his parents Jacqui Sporle and Paul French, landlords of the Broadways pub in Didcot. Ms Sporle attributes her son’s success to the good start he got when he was a pupil at Our Lady’s Abingdon Junior School. It was there James received tuition from Mrs Doidge, and on earlier this week she was able to see the progress he has made when they met at the school in St John’s Road. Ms Sporle, 53, from Didcot, said: “It was lovely for James to be able to see Mrs Doidge again. She was his ballet teacher from when he about three-and-half and he loved it and went on from there. “He was copying his sister Danielle, who is now 16 and she is at Ballet West, a school for ballet dancers in Scotland. “Last year James got a place at the Young Dancers Academy in Shepherd’s Bush in London and he has just completed his first year of full-time ballet training. “With the Royal Ballet he has appeared at the Royal Opera House in Covent Garden in Alice’s Adventures in Wonderland, Swan Lake, Sleeping Beauty and The Prince of the Pagodas. “In each year at the Royal Ballet School, there are only places for 12 boys and 12 girls in his year group, and more than 700 dancers auditioned twice for a place. Mrs Doidge, from Abingdon, ran a ballet school for 30 years before she started her own business making jam about six years ago. Last year she agreed to supply top food store Fortnum & Mason with jars of plum conserve. [Kent, England] – Faversham’s answer to Billy Elliot has landed a role in a professional production of Swan Lake at the Marlowe Theatre. Up-and-coming ballet star Jake Inman, 14, was selected in February after an audition where he was up against 200 young hopefuls. Now he is preparing for the performance of a lifetime, where he will be taking to the stage between August 23 – 24 with the English Youth Ballet (EYB). He will dance alongside EYB’s international principal artists and gain an insight into what life is like as a professional ballet dancer. Jake who attends Canterbury Academy and is currently studying at the Dance Warehouse, said his dancing dreams began when he was just five years old. He said: “I started dancing very young. I used to get taken along to dancing with my sister and I really enjoyed looking at it so I started myself. I started tap dancing but when my parents suggested doing ballet as well I really took to it. The young cast have begun rehearsing with the EYB’s dancers at The Canterbury Academy in an intensive ten-day schedule. British principal ballerina, Julianne Rice Oxley said she was impressed by the talent in the young dancers. She said: “They have great energy and attack. Working in a professional environment gives the students a unique insight into life in a ballet company. Jake is so lucky – I wish there had been something like EYB when I was training! 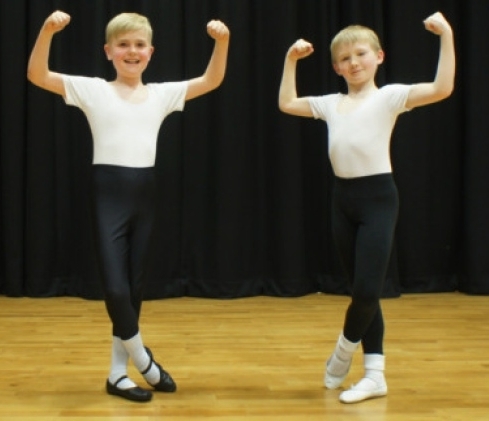 [Somerset, England] – Brothers Elliot and Leo Horler are dancing for joy following their individual successes in the world of ballet. Both boys have been dancing since they were youngsters and Elliot, aged 17, is at the Hammond School, in Chester, and has just danced in a world premiere to mark the centenary of the birth of Benjamin Britten. Plymouth Town was written when Britten was 17 and the ballet had never been performed until now when it was choreographed by Hammond senior classical teacher Jane Elliott. The performanceHYPERLINK \l “” took place at the Royal Northern College of Music in Manchester. Leo, a pupil at Writhlington School, has just returned from Cardiff where he had landed a major role with the English Youth Ballet in their production of Giselle. He had impressed the organisation when he took roles in their production of Sleeping Beauty in Weston-super-Mare earlier this year, and was invited to dance in Cardiff. Leo, who trains at the Susan Hill School of Dance in Radstock, as did his brother before him, is determined to pursue a career in dance. He has been accepted on an associate programme at the Hammond School and his mum Carrie is hoping that he will succeed with a full funded place soon. As well as training with Sue Hill, Leo also travels to Swindon where he studies with the town’s dance academy. [West Yorkshire, England] – The dreams of two ballet boys have come true after they beat 160 other hopefuls to be chosen to appear in a opera house production. Rowan Lightfoot and Troy Tipple have both been selected to appear in a production of ballet Coppelia at the Grand Opera House in York. Eight-year-old Rowan, from Tingley, who is a member of the Kay Academy of Dance, and nine-year-old Troy, from Morley, who dances at the Deborah Coultish School of Dance and goes to Morley Victoria Primary, will appear in three performances from June 7 with the English Youth Ballet (EYB) playing the roles of Betrothal Dancers. Rowan’s mum, Lauren, said: “We were really excited when his dance teacher suggested he go along to an audition and were extremely proud when he was offered a role as there were over 100 children in his age group auditioning for parts.